Our range of products include digital electric conveyor oven, single deck conveyorized oven, single belt conveyorized electric oven and low profile conveyorized oven. Committed towards meeting our client’s specific demands, we are presenting a broad range of Digital Electric Conveyor Oven in the market. Highly skilled professionals perform the entire execution based on clients’ detailed specifications and make sure that the outcomes finally must be up to client’s expectations. In the process, latest technologies are used and thus, render the preferred solution through genetic procedures. These products can be purchased from us at budget friendly prices. 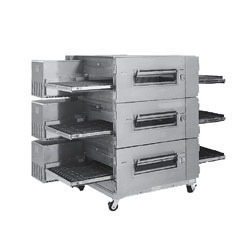 With our rich industrial experience, we hold expertise in offering Single Deck Conveyorized Oven. These products are stringently cross-examined by quality control team in line with the preset industry norms to ensure that these are flawless and impeccable at clients end. These products are well known across the market for their best operational efficiency, light weight and longer service life. 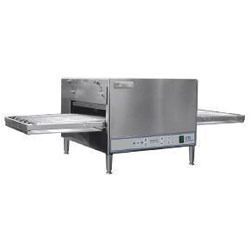 Our organization has created a niche amongst prominent and reputed organizations of the industry engaged in offering an extensive range of Single Belt Conveyorized Electric Oven to our vast client base. 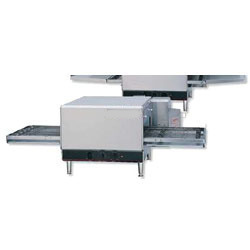 These ovens are used in different food industries for their reliable performance and sturdy construction. The ovens we are offering are easy to operate and offer long functional life at clients end. Apart from this, we are offering these products at leading market price. AIR IMPINGEMENT uses hot air under pressure which surrounds food with small jets of hot air. This allows for rapid heating, cooking, baking and crisping of foods, two to four times faster than conventional ovens, depending on food product cooked. The conveyor belt is a flexible stainless steel design with capacity for 16” (406mm) wide product and a travel distance of 31” (787mm) on the standard conveyor or 50” (1269mm) on the extended conveyor, of which 20” (508mm) is in the baking chamber. As a customer centric organization, we are offering an extensive collection of Low Profile Conveyorized Oven to the customers. These ovens are offered to the customers by taking only pristine-quality material and hi-tech tools in full compliance with the defined quality guidelines by the industry. Being a quality-centric organization, we ensure our patrons that the offered ovens are outstanding in terms of quality and designs. We offer this oven to our valued customers at cost-effective prices within the committed period of time. Faster bake times improve time of service. Advanced air impingement technology enhances bake quality and uniformity. Improved product flow during cooking reduces operation costs. Research and applications support for continued operational success. Support is committed to ongoing customer satisfaction. Improved view vacuum florescent readout displays set temperatures in degrees (F° or C°), conveyor belt speed, thermostat indicator light, and diagnostic messages for easy trouble shooting. All settings are automatically locked out to eliminate accidental changes. 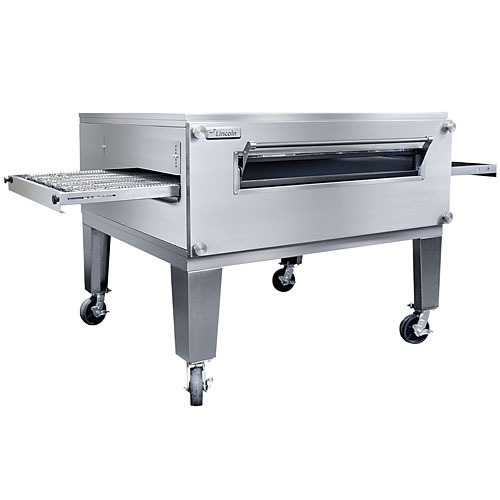 Looking for “Conveyor Pizza Oven”?